Cutting-edge virtual instrument and synthesizer. 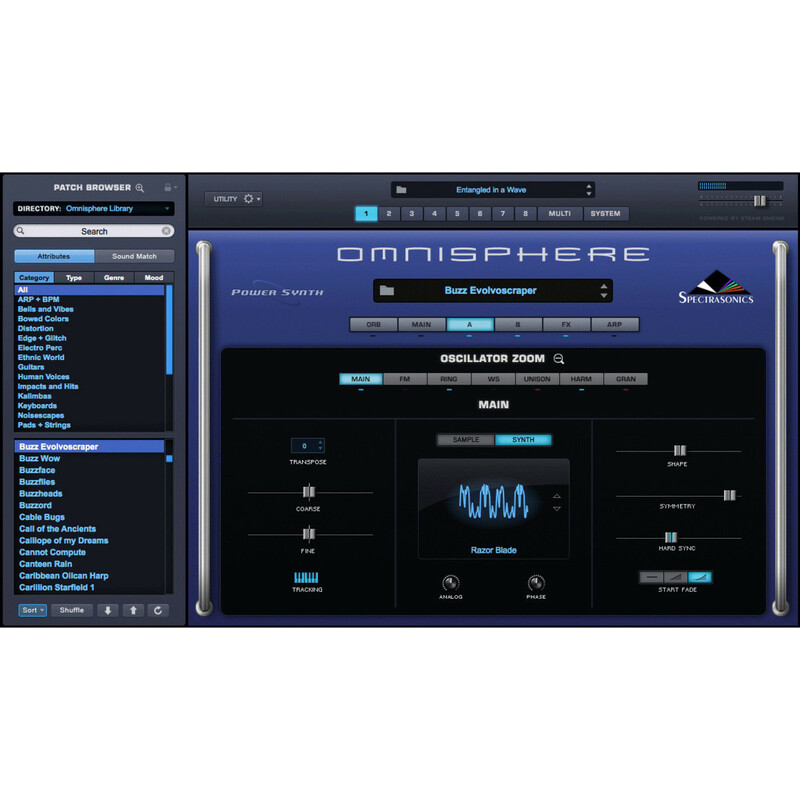 Spectrasonics Omnisphere 2.6 is a completely re-injected version of its extremely popular predecessor 'Omnisphere' but with an unbelievable number of new features and improvements. Spectrasonics have worked meticulously on every feature within Omnisphere 2 whether it's the 400 new DSP waveforms, 3,000 new patches, improved user interface, 25 new effects units or the innovative new granular synthesis mode which allows you to create a synth from your own audio to create the most powerful synthesizer virtual instrument on the market. The 2.6 update provides you with expanded hardware synth integration and upgrades to the arpeggiator. It also features 600 new patches created by Eric Persing. 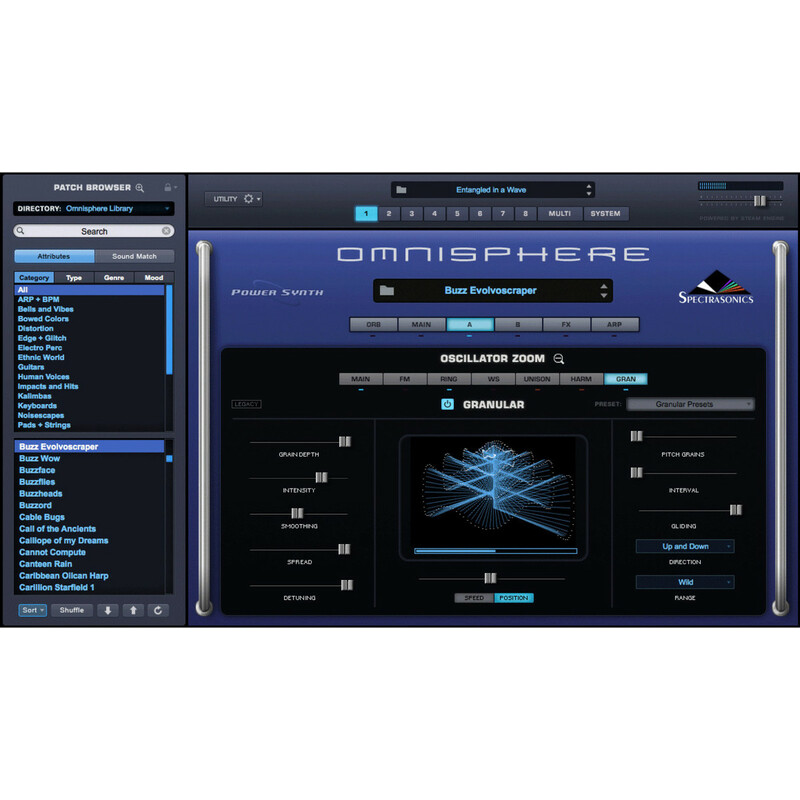 Omnisphere version 2.6 is here. This new version features a wide range of enhancements, upgrades and new additions including 600 new and cutting-edge patches. 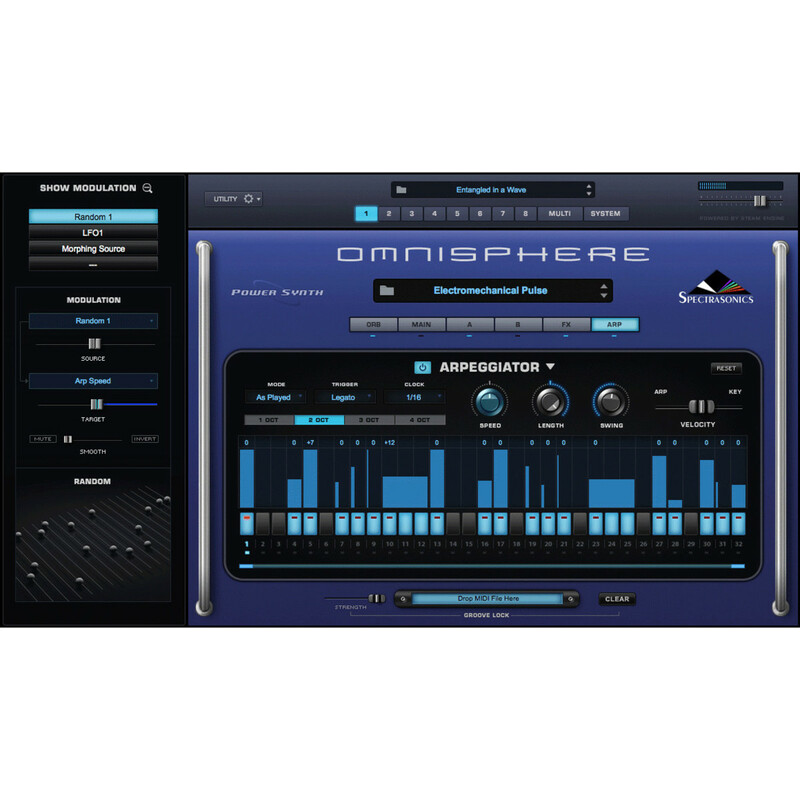 Major new upgrades have been added to Omnisphere's arpeggiator, expanding the Synth Integration and providing full support for up to 65 popular hardware synths. New profiles and support has been added for classic gear such as the Roland Juno-106 and D-50, Super Jupiter and more. The preset library has been expanded, with 600 new patches created by Eric Persing working alongside the Spectrasonics Sound Development Team. Eric is renowned for his classic sound design work, bringing fresh and full-bodied sounds to Omnisphere. 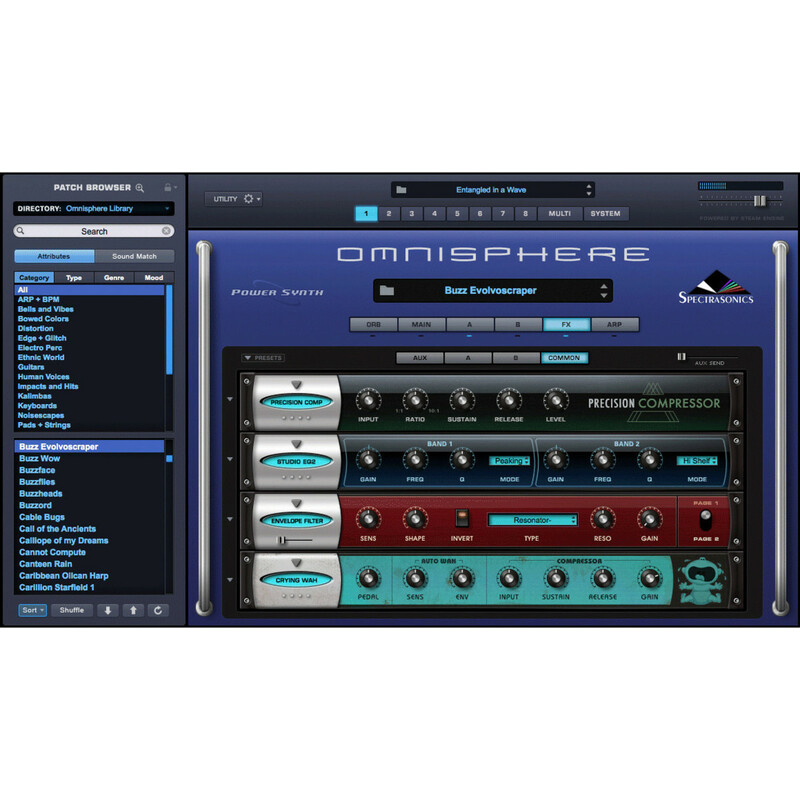 Existing users can simply use the "Get Updates" feature on the Omnisphere splash page. 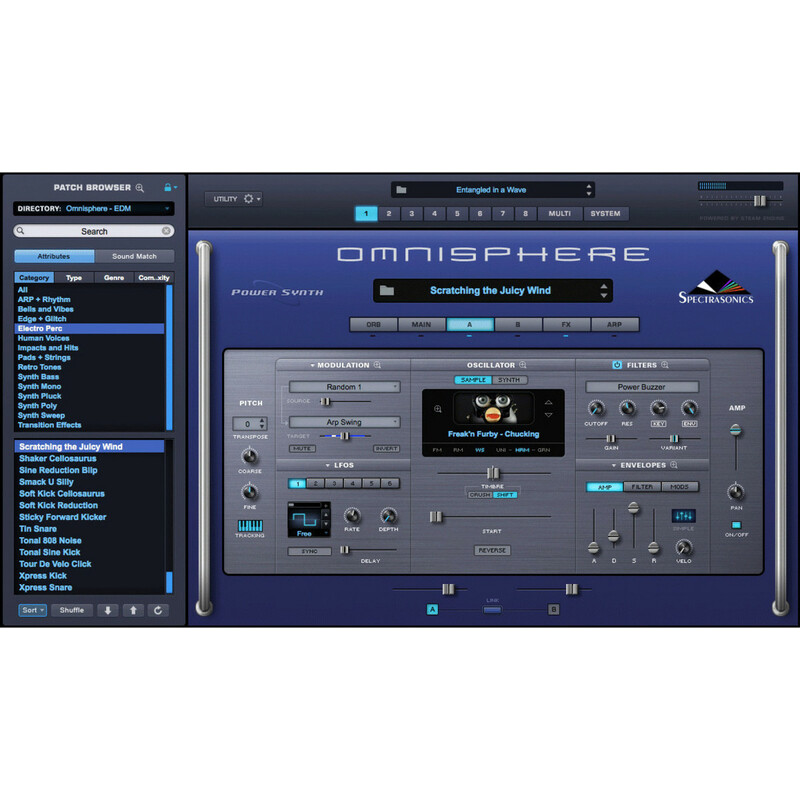 Omnisphere is now renowned in the digital music world, used frequently in EDM, Hip-Hop, Pop, Rock and everything in between. Its revered for its versatile and expansive sound library. The library includes over 14,000 sounds in total, spanning everything from classical instruments to cutting-edge synthesizers. There is a reason this VST and sound library has been used by countless producers including TM88, Sonny Digital, Southside, Boi-1da, Cardiak and more. 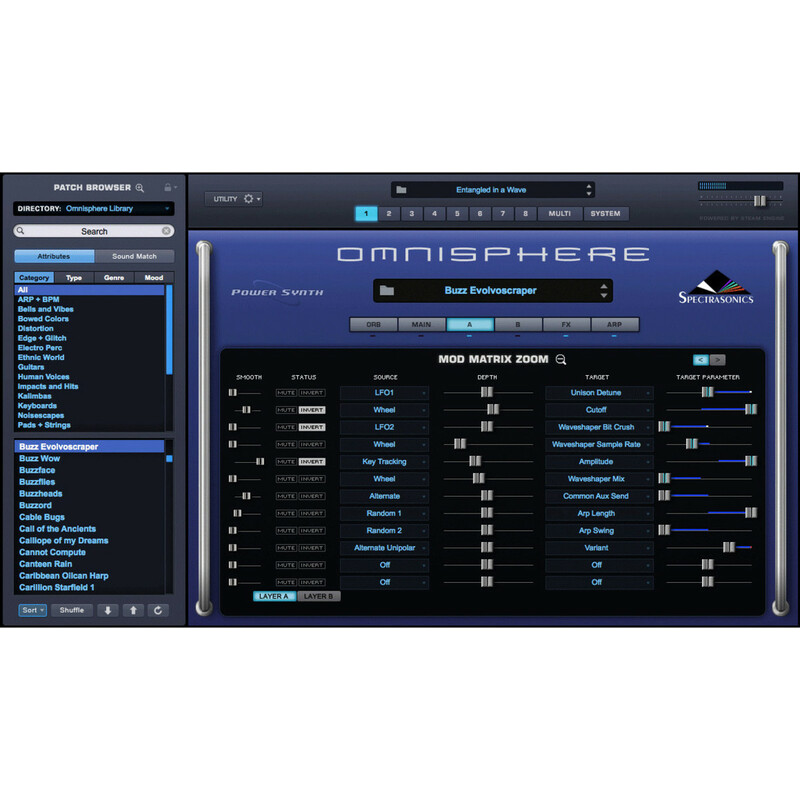 Not only is Omnisphere suitable for music production it has also been used for movie scoring and even video game sound design. The award-winning Spectrasonic Sound Development team have meticulously designed these patches and sounds using years of sound design expertise. The result is sounds and tones you will not find anywhere else. 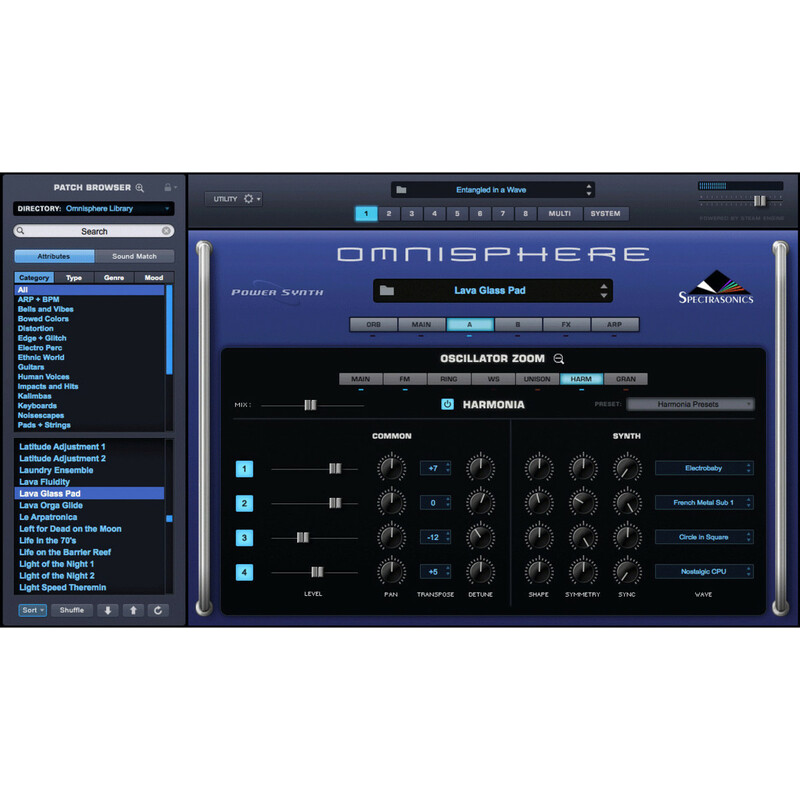 In addition to the eclectic sound palette, Omnisphere boasts a wide range of premium-grade effects. In total, it includes 57 FX units including recreations of iconic equipment and cutting-edge processors. The wide range of effects allows you to add texture and flare to your sound library. The FX collection spans from graphical and vintage EQs to chorus, vibrato, wah, compressors and cutting-edge reverbs. Version 2.6 includes a new high-resolution interface. This interface provides support for HiDPI displays, providing crisp visuals to match the superior sound collection. The rich and sleek GUI is now easier to navigate and can also be resized to fit virtually any workspace. 2.6 also provides support for Windows X Multitouch computer sand tablet. This allows you to use the Live Mode page as a functional stage interface, even when used fullscreen on a Windows computer. It also provides additional support for some of the most popular synths on the market. Spectrasonics has eliminated all DVD-ROM discs in its virtual instrument product line - replacing them with modern Download and Drive Editions. 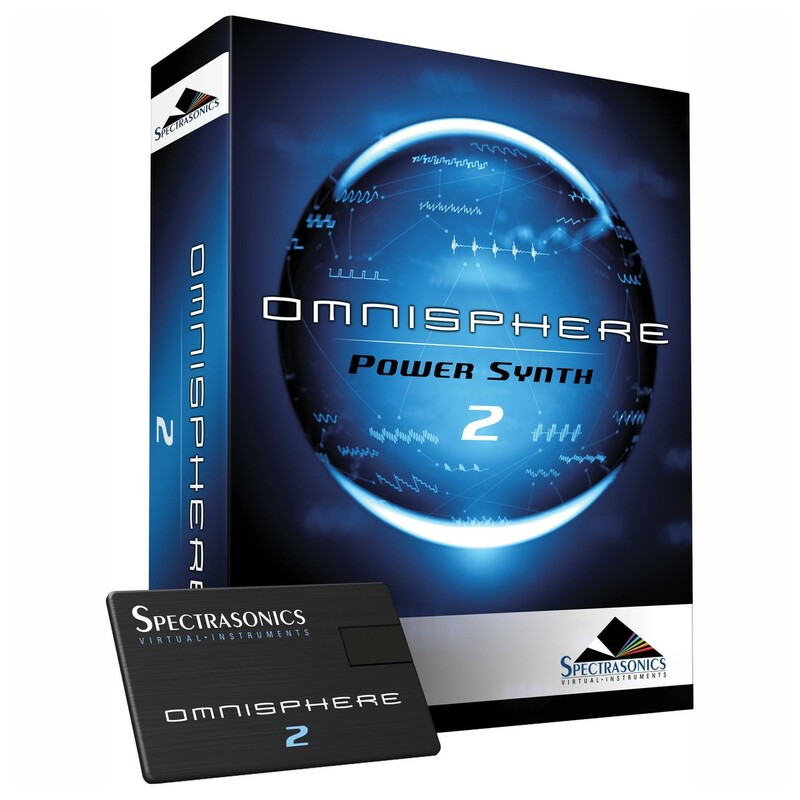 The company is now shipping high quality USB drives in their in-store packaging for Omnisphere 2 - making physical installation dramatically faster, easier, and more reliable. 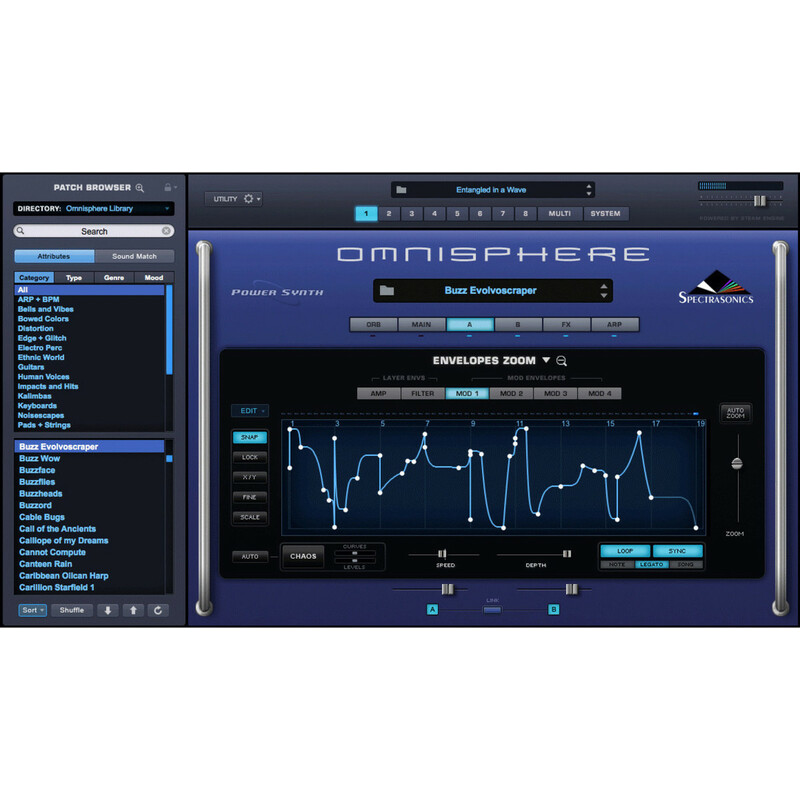 FREE for all Omnisphere 2 users!